Eat fresh with local materials. 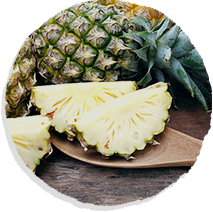 We support domestic agriculture to guarantee the best material is used. and believe that genuineness is the most important ingredient in every bite. We value quality, hygiene and safety. 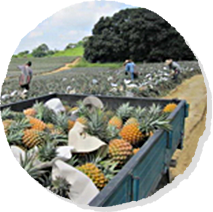 Pineapples are sorted, screened after harvest. processor of local crops to ensure quality. Delicious stuffing and professional service. 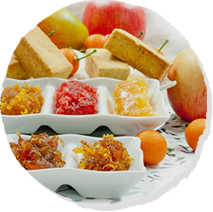 are delivered to renowned domestic and foreign cake makers and food factories.